As I sit here ready to embark on another playoff Saturday in hockey, my mind starts reflecting upon what has happened. Overall, it has been a good season. Structural Standards got into the playoffs for the first time. Who Cares Aluminum is in the #1 spot and undefeated. Malys is in a position to compete for a championship. Who Cares brass slipped into the playoffs and has the opportunity to make some noise. I did pretty well in net overall. However, I was streaky at times as well. There were some games I just couldn’t get into the flow of making saves. Others were just poor decisions on how to come out and cut the angles off. Still, I persevered. Now, with the playoff schedule created, I am once again eagerly anticipating playing again. It has been two seasons since I lifted a trophy. This season I am in prime position to break that streak. In Spring 2008, my 9-1 Fury team got beat in the finals by a score of 3-1. I played an excellent game, but my team just could not crack Andres and Bluevortex.net. 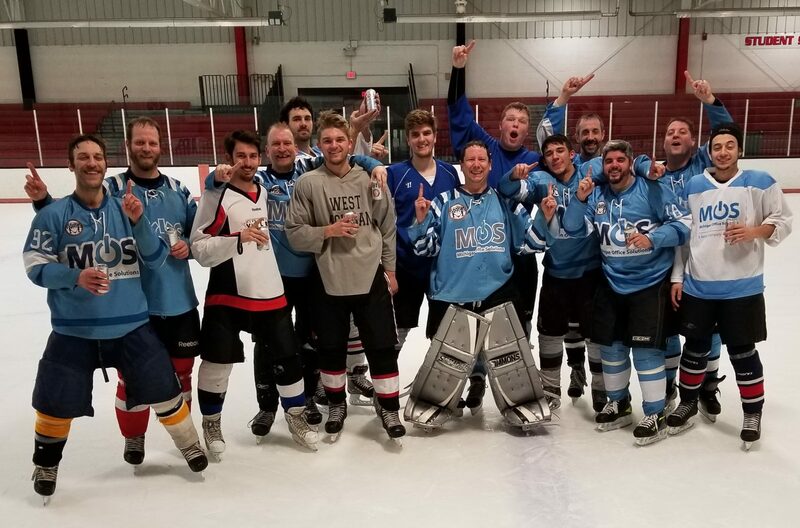 In Summer of 2008, my Dragons team made it to the finals after a thrilling 2-1 victory over the 9-0-1 Rink Rats team but just couldn’t muster enough to beat Lighthouse Plumbing. I have had my chances, and this season is no exception. Especially Who Cares Aluminum. A team that went undefeated in the regular season but had a lot of close games. If we lose in the 3rd overtime of the finals, it won’t be successful. We have to close it out and do it the right way. Same with Malys. I feel we have the best team. Now I just need to play my best to help lead them to a championship. Its not going to be easy. It rarely is. However, I feel it is my time tomorrow. Its my time to win. Its my time to lift a trophy (or trophies) high above my head. All I have to do is sieze my opportunity and get it done. Forget about what has happened in the past and react what does happen.